PCUSA Co-Moderator the Rev. 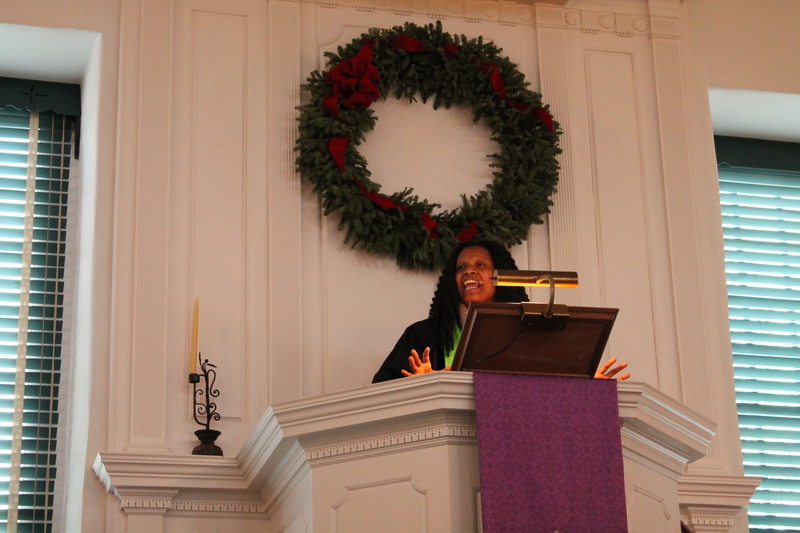 Denise Anderson, right, sings during opening worship at the Presbytery of Carlisle’s meeting in early December. Standing with Denise are, from left, the Rev. Candace Veon-Nyiri, stated supply pastor at Silver Spring Presbyterian Church; Rev. 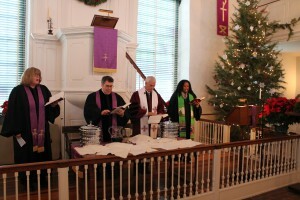 Donald Wahlig, senior pastor at Silver Spring; and presbytery Executive Presbyter the Rev. Dr. Mark Englund-Krieger. The Rev. Denise Anderson still has trouble believing what happened in Portland on June 18. That’s the day she, along with the Rev. Dr. Jan Edmiston, made history by becoming the first co-moderators of the Presbyterian Church (U.S.A.) following an overwhelming majority vote at the 222nd General Assembly. It also marked the first time in the denomination that two women held the two highest moderator spots, as there had never been women elected as moderator and vice moderator in the same year. 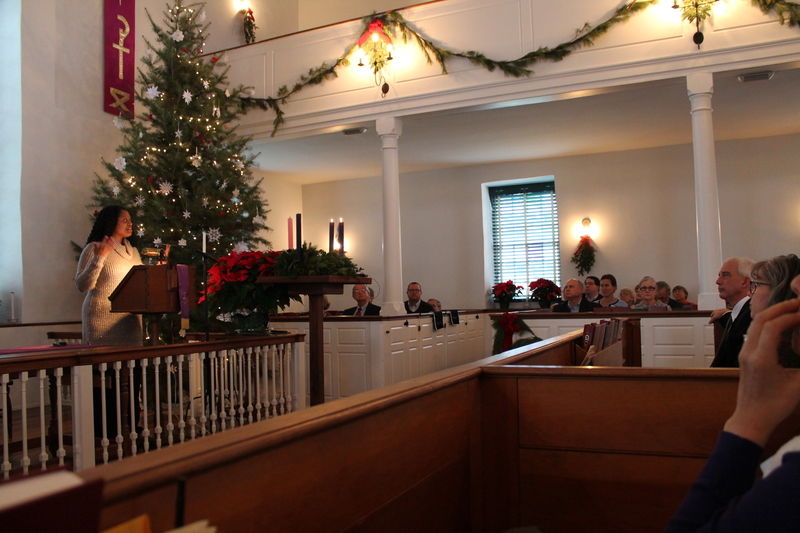 Speaking at the Presbytery of Carlisle’s meeting at Silver Spring Presbyterian Church in Mechanicsburg, PA, on Dec. 6, Denise recalled getting a phone call from Jan asking if she would run with her for the co-moderator position. They went round and round with the idea before finally deciding to accept the challenge. “It calls the church into confessing God’s call to unity among us and rejecting any ideologies that would use the gospel to enforce the separation of people along racial lines or any other divisions,” she added. “That was an amazing moment, and in that moment we proclaimed that God was leading our communion to not just reconciliation but the kind of reconciliation that occurs among equals, occurs among friends, among people who are on the same standing. 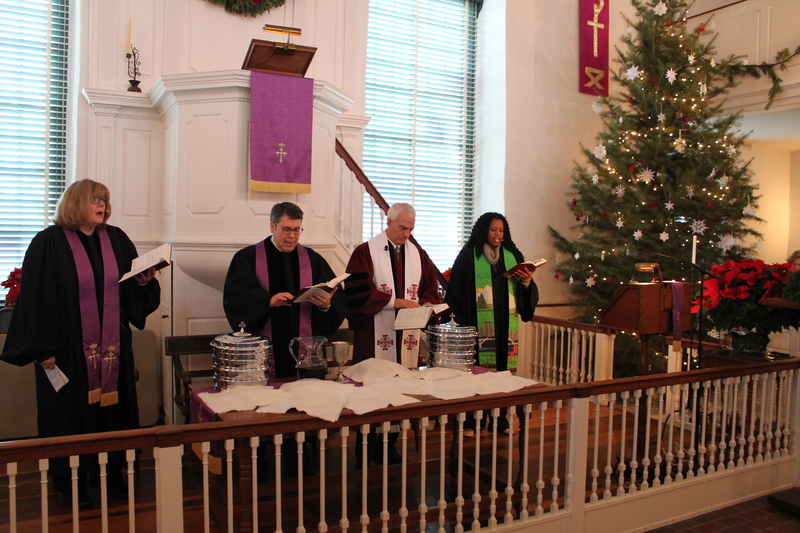 Despite the positives from General Assembly, which also included the appointment of the Rev. Dr. J. Herbert Nelson as the denomination’s first black stated clerk, Denise admitted that there are still plenty of challenges ahead. Among them is the recent presidential election that has left many congregations divided and facing a turning point. Denise is the pastor at Unity Presbyterian Church in Temple Hills, MD, a small congregation that she said could fit into one corner of the Silver Spring sanctuary on Sunday mornings. It was agreed that having heads of small churches like Denise represented among national leadership is an important connectional move for the denomination. Denise expanded on the struggles of congregations, especially smaller ones that seem to draw inward when times get tough, during a question-and-answer period at the meeting. 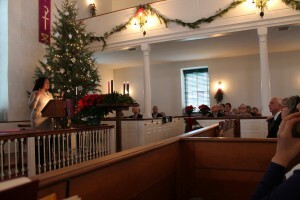 In her sermon that opened the meeting earlier in the morning, Denise admitted that many people want to go back to the good ol’ days, when an individual was in better health, when loved ones were still alive, when jobs were more secure, and even when churches were fuller on Sunday mornings. “Even if we return to our former glory, even if we’re sure, even if we’re healed, even if we are re-stored, we still run the risk of stomping out because our former glory guarantees us nothing,” she said. “It doesn’t mean that we’ll stay in that space. Denise Anderson answers a question during the Presbytery of Carlisle’s meeting. How do we define what being Presbyterian means? Are we reaching out to help our churches that are Native American? How do we as Presbyterians become relevant again in society?